There was something strange about this Christmas. It wasn't bad per se. We had a good time with family, worship on Christmas Eve went well even considering that I was laid up with a stomach bug the day before (these things have such great timing for me). But there was a certain underlying vibe that I needed to acknowledge, even if I couldn't immediately name what was causing it, or even what it was. Eventually, I started to reflect on how this was my first Christmas in a lot of new contexts at once: a new church, a new house, a new daughter with whom to celebrate, one less cat running around. And really, the more I thought about it, the more this first-ness, this newness, seemed to be the cause of what I was feeling. What was perhaps most notable about this realization was the lack of processing that I'd done previous to it. All of these things happened in quick succession--on top of each other, really--and while I made adjustments along the way in response to each, I didn't give myself time to acknowledge the emotional and spiritual aspects, let alone deal with them, until I had some downtime right at the end of the year. Before it all really started, I envisioned a moment where I'd suddenly crash from all the transition, some morning where I'd see the family off to their various destinations for the day and then crawl back into bed. Thankfully, that didn't happen...or hasn't happened. I don't think it will at this point. If there is one thing I've learned over the past two years, it's to take proper time to care for myself, which I've at least had the presence of mind to do this year in the midst of everything. With the exception of losing a beloved pet, these transitions have all been good ones. 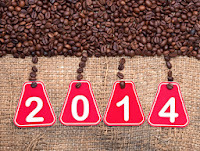 I anticipate more settling in as 2014 moves along, although I'm sure it'll bring its own changes and challenges, too. 1. Get reacquainted with my drums. I started playing the drums 24 years ago, which is weird to think about. Along the way I've dabbled in bass and guitar, but the drums have always been my first love and I've been neglecting them for quite some time. 2. Call old friends regularly. The difference that even just a few phone calls mid- to late in the year made for my spirit was noticeable. I want to keep up with that. It's a self-care thing for me as much as a relationship thing. 3. Take time off. Believe it or not, this can be a hard thing for pastors to remember to do. I know firsthand what happens when you don't; when you think the church will fall down or so-and-so's life will fall apart unless you're on 24/7. And while in a sense the nature of your vocation is such, I can't be on for the moments when I'm really needed unless I set boundaries otherwise. 4. Live more prayerfully. I've really been inspired this year, particularly since my spiritual direction practicum started, to be more attentive to the ways prayer is meant to influence my day to day living; the ways I am meant to live as a disciple even in the simple decisions that I face on a daily basis. 5. Keep writing. Given that this blog exists, this seems obvious. But it's very much a discipline, and one I haven't always wanted to keep. But writing in itself is important to me, and so I'm going to keep doing it, one way or another. 5. How Your Church Can Attract More of Every Demographic Ever! Happy New Year. 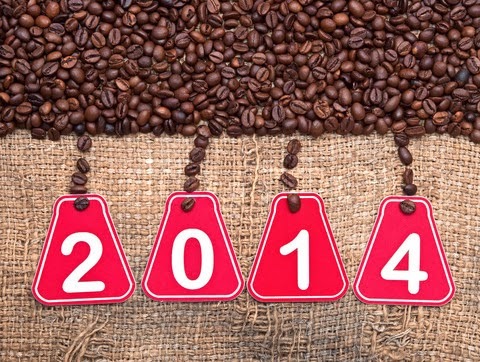 I hope 2014 is a positive, meaningful year for you and yours.